Sometimes I think there is a whole I Draw Slow world existing in a parallel universe. It is inhabited by rounders, bounders, charming outlaws and has a colourful history which includes, of course, the lady of the night with a gilded heart who features in Goldmine. By the by, the band have made a stunning video for Goldmine – take a look on YouTube and be delighted. Fancy aside, I Draw Slow are one tight string band. Each member is a an integral part of the whole, so it would be unfair to single out anyone specifically as they all play superbly. Louise Holden’s sensual, insinuating voice takes most lead vocals and the harmony/duet singing with/behind her is perfection. The songs are all by Louise and brother/guitar player Dave excepting the gospel (Satan Your) Kingdom (Must Come Down) and the instrumental Buffalo Hunt and their songwriting has got even better. Their style is still their own – acoustic, rooted in string band, Americana with a wash of colour which comes from them being an Irish band. The songs are wonderfully insidious – I find myself waking up with Mama Don’t Cry running through my mind and humming Kingdom while washing up. As well, the album is a visual treasure with Colin Derham’s cover art intriguing, mystifying and delighting the eye. 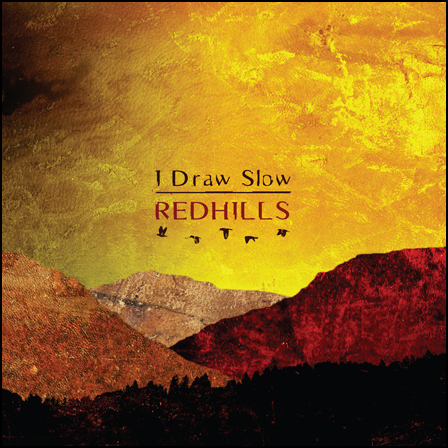 Redhills is an album anyone should enjoy. 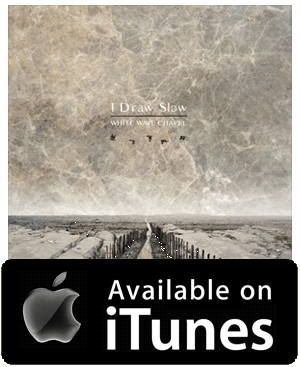 The more you listen, the more you not only like the music, the narratives of the songs and the profusion of moods they convey, the more you might be drawn into I Draw Slow’s uniques gorgeous world. It is easy to write a positive review if the music is good and it is well produced. It is hard to write a rave review without sounding as though you have lost your mind – but this should be read as a rave review.